Elizabeth Egleson, Mauricio Vergara and Caitlin Calligan in Spirit Garden in Ballet Tucson's season opener. Artifact Dance Project is in love with story dances, and its season opener, Positions of Power, will tell two tales, both directed and choreographed by Claire Hancock. The first, A Painted Devil, is a premiere for the local company, now in its ninth season. It's Hancock's take on the Thomas Cullinan novel The Beguiled, which has already been made into two movies of the same name, most recently in a 2017 version by Sofia Coppola. Hancock tells the Civil War story—of a wounded Union soldier in a house full of Southern ladies—through contemporary dance and live music. Vincent Calianno's score will be played on strings, piano, percussion and electronics. The second work, The Oval Portrait, first staged in 2010, re-creates an Edgar Allan Poe story about an artist so obsessed with painting a portrait of his wife that he forgets to love her. A string quartet will play original music by Tucson composer Dan Coleman. Sept. 20 to Sept. 23, UA Stevie Eller Dance Theatre. artificialdanceproject.org. I'll See You in My Dreams, a brand-new ballet that celebrates the great American songbook, will be a highlight of Ballet Tucson's opening Fall Concert Oct. 12, 13, and 14 at Pima College's Proscenium Theatre. Choreographed by Mark Schneider, the piece will be performed to live music twanged out by banjo players Rob Wright and Tyler Jackson and guitarist Howard Alden, members of The Great Banjo Summit. 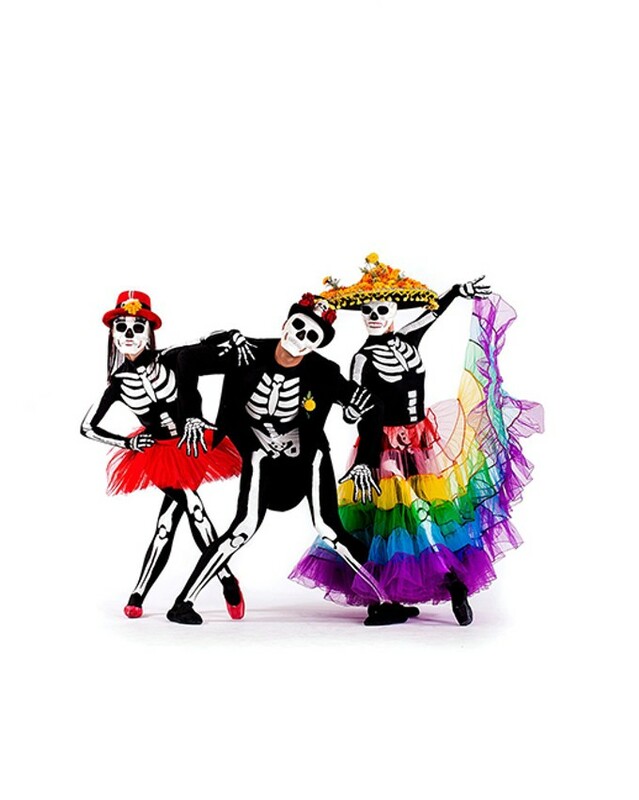 The dancers also reprise the spooky-season Spirit Garden, a Día de los Muertos story ballet complete with folklorico costumes and skeleton masks, set to a recorded score by Tucson's own Calexico, and performed to a backdrop of digitized paintings by Lawrence W. Lee. Also on the program is the 2012 full-company ballet Boler-O, set to the rhythmic Ravel score by company ballet master Daniel Precup. Jahna Frantziskonis, soloist at San Francisco Ballet, dances in Ballet Tucson's gala season opener. 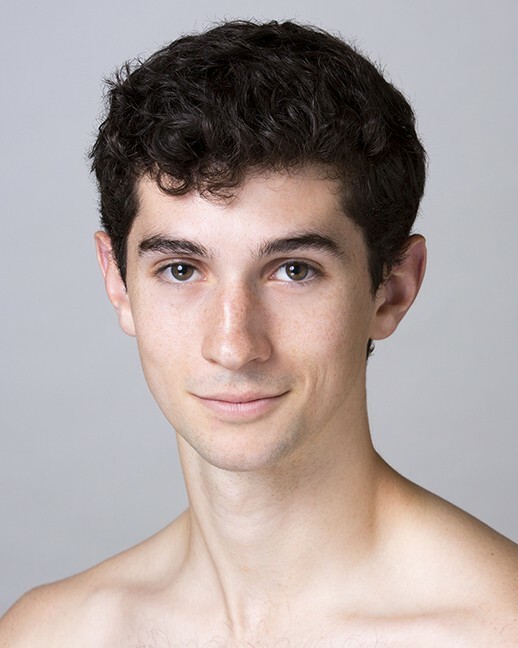 Max Cauthorn, soloist at San Francisco Ballet, dances in Ballet Tucson's gala season opener. As a special treat, at the opening night gala only, the company shows off the high-flying dancing of two former students of its Ballet Arts school, both now soloists with the respected San Francisco Ballet. The two kids who made good, Jahna Frantziskonis and Max Cauthorn, will return to their old hometown to dance an excerpt from Diving into the Lilacs, a 2009 piece by Yuri Possokhov, San Francisco company choreographer and former Bolshoi dancer. Frantziskonis studied at Ballet Arts for 12 years, starting at age 4, and frequently performed in the company's concerts before leaving town to train with American Ballet Theatre and Pacific Northwest Ballet. Cauthorn is the son of Paulette Cauthorn, once a modern dancer with Tucson's late, lamented Tenth Street Danceworks, and Robert Cauthorn, a former arts writer and internet wiz at the Arizona Daily Star. Young Cauthorn trained at Ballet Arts only briefly, as a 4-year-old. After the family moved to the Bay Area, he switched to the San Francisco Ballet school and climbed the ranks. In Footprints at the Fox (New Work Concert) at the Fox Tucson Theatre Nov. 11, Ballet Tucson company dancers show off their own choreography. The troupe's aspiring dancemakers will set their new pieces on their dancing pals. Finally, early in the holiday season, the company kicks off its traditional Nutcracker, the beloved holiday story of a young girl's journey into the Land of Sweets. The troupe's pro dancers play the major roles and up-and-comers from the school add in the adorable kids. Dec. 7 to 9, Tucson Music Hall. 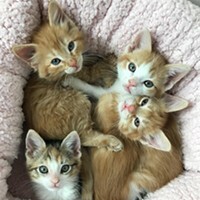 Ballettucson.org. The UA School of Dance offers a freebie preview of its season on Oct. 7 at Stevie Eller Dance Theatre. Students will perform some dance excerpts and fans can learn about upcoming guest artists. The first full concert is Jazz in AZ: One Act/One Hour, Oct. 16 to 18, with works "inspired by wing-era Billy Strayhorn to present-day Pink, and jazz styles in between." Danced by the students in the school, the pieces include The Man Behind Duke, choreographed by the always-fun Sam Watson to music by Strayhorn, the arranger for big band leader Duke Ellington. 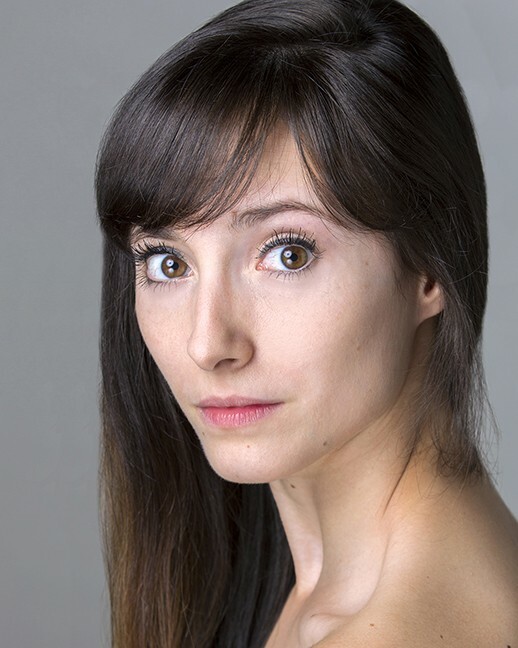 Autumn Eckman's Sardine, has been performed by UA Dance students at festivals in California and Bulgaria. Michael Williams reprises STYX, a piece evoking Greek mythology but danced to the music of the Israeli band Infected Mushroom. Another Williams work, Sticks & Stones, is a lyrical contemporary jazz work. Premium Blend, Nov. 14 to Nov. 18, honors two choreographic heavyweights, master modernist Martha Graham (whose troupe dances at Centennial Hall Nov. 8) and George Balanchine, the revered creator of neo-classical ballet. The concert opens with Balanchine's Concerto Barocco, a 70-year-old dance admired for its "spiritual perfection," and closes with Graham's 1935 Panorama, a work that the L.A. Times said exhibited "her genius for forceful modernist spectacle." The semester ends with Interiors–Student Spotlight, Nov. 29 to Dec. 2, showcasing the student dancers' own choreography, danced by their peers. Elizabeth Egleson and Mauricio Vergara in Spirit Garden in Ballet Tucson's season opener. All shows are at the UA's Stevie Eller's Dance Theatre. Dance.arizona.edu. Each city on the tour gets a different mix of dances by women. The program for Centennial Hall is not yet set, but may feature a new Lucinda Childs piece, Histoire, and another by Annie-B Parson, I used to love you. Nov. 8, Centennial Hall. Uapresents.org. The Old West goes all Christmas-y in A Southwest Nutcracker, the popular Tucson Regional Ballet production that transplants the European story to 1880s Tucson. Tucson Symphony Orchestra plays Tchaikovsky's beloved score live, providing glorious accompaniment to coyotes, cavalry and rattlesnakes dancing classical ballet. Dec. 15 and 16, Tucson Music Hall. Tucsonregionalballet.org. And be on the lookout for the cornucopia of other Nutcrackers, from studios small and large, that grace Tucson's festive season. Local choreographers both aspiring and accomplished get a chance to try out new works in No Frills—A Dance Happenin' on Nov. 3. Sponsored by ZUZI! Dance Company, the stripped-down showcase ("no fancy lights, no fancy sets") is the equivalent of an open mic for experimental dance. ZUZI! stages its own concert of contemporary and aerial dance in mid-December to mark the winter solstice. The annual show honors the shortest day and longest night of the year—and celebrates the light that returns when solstice ends. This year's edition, Ladder of Light, runs Dec. 11, 15, 16 and 20, ending just before the actual heavenly solstice on Dec. 21. Both ZUZI! 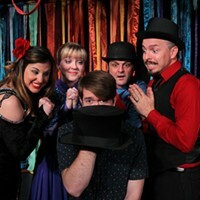 shows are at Scoundrel & Scamp Theatre, formerly ZUZI! Theatre, in the Historic YWCA at University Boulevard and Fifth Avenue. zuzimoveit.org. Caitlin Calligan and Elizabeth Egleson in Spirit Garden in Ballet Tucson's season opener. Barbea Williams, a UA dance prof expert on the dances of Africa and the African diaspora, leads her Barbea Williams Performing Company through a series of multi-media events this fall. 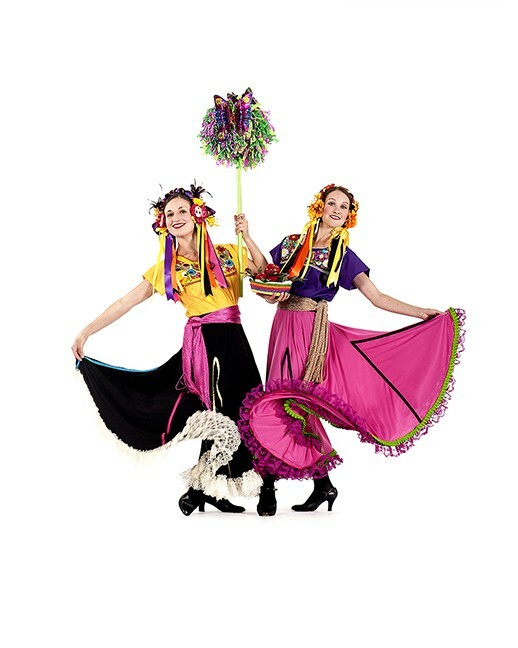 On Sat., Sept. 8, from 5:30 to 8 p.m., at the free Art After Dark happening at the Tucson Children's Museum, her troupe performs traditional dances and jumps into interactive kids' games. On Oct. 20, the troupe performs African dance and Brazilian capoeira at the Heart of Wakanda, an event that showcases local Africa-American businesses and organizations, and stages a fashion and natural hair show and other arts activities at Dunbar Pavilion, 325 W. Second St. Food available. At the Tucson Museum of Art, on the Dec. 6 free Thursday evening, the troupe dances and leads other activities inspired by 30 Americans, an exhibition of work by African American photographers. www.facebook.com; tucsonmuseumofart.org. If you're interested in Celtic variations, try out the Tucson Celtic Festival and Scottish Highland Games, Nov. 2 to Nov. 4, at Rillito River Park. tucsoncelticfestival.org.